I've always been interested in the vintage scene - Dita Von Teese is a Goddess in my opinion, and I wish I could perfect that flawless hair and make up look she's famous for. 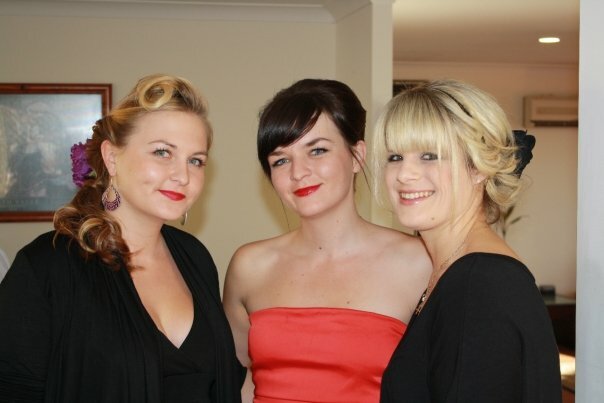 A little bit vintage...My beautiful sister, myself and my gorgeous friend Addy at my brother's Rockabilly wedding in Australia! Thanks to the lovely Besame Crimson Cream Rouge I blogged about in my last post, I've now at least got one multi purpose product to help me on my quest to achieve pin up perfection, but wouldn't it be handy if there were a couple of vintage experts on hand to show me how it's really done, or better yet, do it for me? Here's where the girls at Lipstick & Curls come in. Specialising in hair and make up from the 1920s through to the 60s, Amanda and Natasha are bonafide vintage gurus transforming London ladies into retro bombshells with a blast of a hairdryer and flick of a mascara wand. 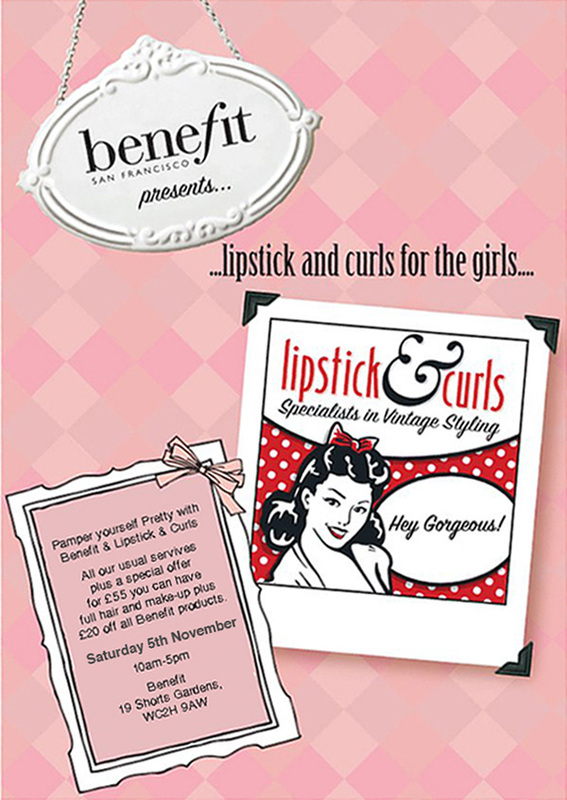 The Lipstick and Curls girls team up with Benefit at Covent Garden on the 1st Saturday of every month (that is in fact TODAY!) for a Pop Up Parlour offering customers exclusive packages and invaluable advice for achieving that coveted vintage look. The girls are in store from 10am to 5pm, so it's worth your while to pop in the shop and see what all the fuss is about. You can book in to have full vintage hair and make up done for only £55 and you'll also receive a fantastic £20 off all benefit products - and we all know that a vintage vixen simply needs a bit of Benefit in their make up kit! If you're wanting to book in and be pampered to polished perfection, get in early and call the girls on 07765166460 to secure a spot. Thanks to the fantastic value of this package, the Lipstick & Curls Pop up Parlour books out fairly quickly, so it's best to get in early. I'm really loving this company and the girls are very warm and friendly so I'm planning on talking about them a lot more - my next Lipstick & Curls post will tell you all about their gorgous Pin Up Studio sessions. In the meantime, get down to Benefit at 19 Shorts Gardens WC2H 9AW on December 3rd to see them work their magic and visit their website here. P.S. Lipstick and Curls will be doing their beautiful thing at vintage weekend Rhythm Riot from November 18th.